Every Bugatti Chiron has a little black box. Actually, it’s unpainted aluminum, but that’s beside the point. This little box records all sorts of vehicle data and transmits it to Bugatti’s headquarters in Molsheim, France, reporting to a “Flying Doctor” on call to help if there’s something wrong with the car. Now that’s service. Touting its technology, Bugatti tells the story of an owner in the Persian Gulf region whose Chiron sensed low air pressure in the front left tire. One of the three Flying Doctors called the owner to let them know that, perhaps, they should address the issue before they took their Chiron for its next drive. 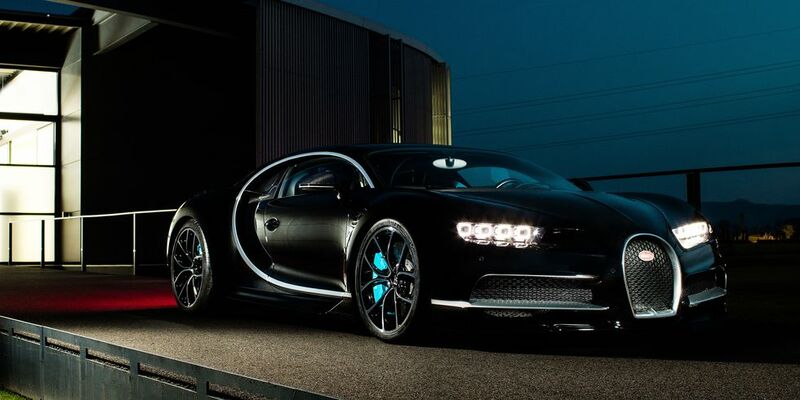 Yes: It’s possible for Bugatti to know about your flat tire before you do. Bugatti’s three Flying Doctors are each assigned a customer region—Europe/Russia, the Middle East and Asia Pacific, and North America. They’re always ready to get on the next flight to help a customer with technical issues if necessary. Of course, you can take your Bugatti to the dealer for regular servicing, too. Bugatti used a telemetry-recording system in the Veyron, but the system in the Chiron is more advanced, monitoring 10,000 different parameters in real time. If an issue is detected, one of the Flying Doctors gets a text message instantaneously. Some other supercar makers offer similar services. McLaren invented the concept of the “Flying Doctor” with the F1, and Koenigsegg also monitors certain parameters of its cars in real-time. But, Bugatti says that no other automaker offers such advanced real-time telemetry like this in a road car. It’s more like what you see in top-level race cars.